Moloka’i Solo showing tomorrow night! 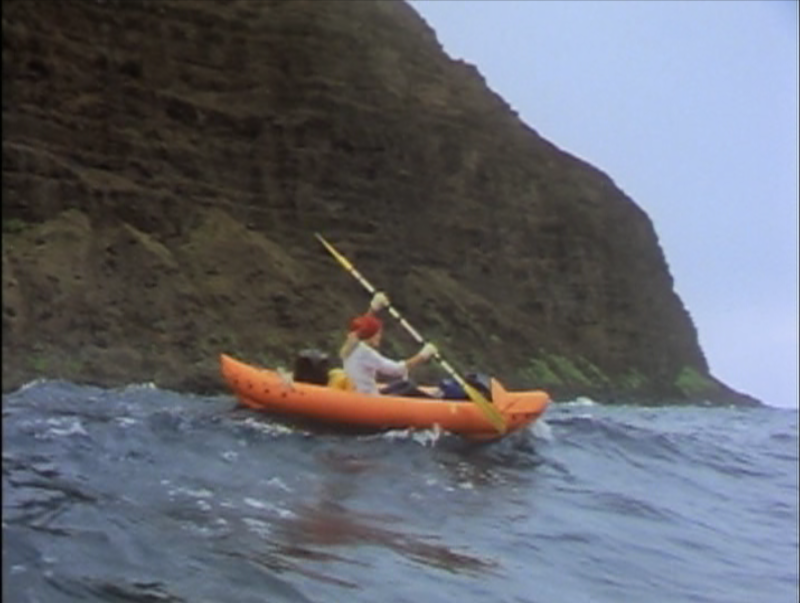 Moloka’i Solo is a documentary about Jock’s adventurous mother, Audrey Sutherland. Audrey was an educator and author who spent summers solo kayaking all over the world: Norway, Greece, Samoa, Palau, and, in her 80s, Alaska. Her first book, Paddling My Own Canoe, was published in 1978 and her final book, Paddling North, in 2012. Moloka’i Solo, written and produced by creative architect and entrepreneur Bob Liljestrand, follows mid-60-year-old Audrey Sutherland as she recreates her 1960s circumnavigation of Moloka’i’s rugged coastline, and is filled with breath-taking visuals and slack-key guitar music by Kapono Beamer. The film was made over a period of three years in the mid-1980s but never released to the public. Paddlers and ocean lovers alike will enjoy this truly inspirational documentary. Moloka’i Solo debuted at the Hawaiian International Film Festival in Honolulu in 1987 to excellent reviews, but has never been shown on the Mainland. Admission at the door is $5 for card-carrying CSM members, and $10 to the general public. Seating is limited. RSVP to 760-721-6876. This entry was posted in Event on August 11, 2015 by ChrisGriffith.